Auto sales are up across the board in the US, while in the European Union, the big four producers are seeing double digit drops in retail success. According to the Wall Street Journal, European sales are dropping by amounts roughly equivalent to the increases reported in the US during May. European manufacturers Audi, BMW, Mercedes-Benz and Volkswagen are reporting dips in sales for the premium lines that have been increasing in the rest of the world, giving many European executives upset stomachs and sleepless nights. Audi’s Old World sales are down 9.7 percent while BMW has suffered an 11 percent drop, and Mercedes-Benz is off 7.6 percent. Though sales looked good in April, the May data certainly presents reasons for concern for the European market. The automakers have been running their factories at full capacity to keep up with American and Chinese sales, but are finding the home-based demand dropping off. Faring even worse are the French firms of PSA Peugeot Citroën and General Motors Open division, who entered into a cost-saving alliance last year to compete with the European giants. Efforts to quickly reduce costs have been strongly opposed by local politicians and trade unions and both firms are looking at closing plants in France over the next few years. The weak sales in Germany reflect the economic uncertainly in Italy and Spain, which seems to be having effects in France as well. The European Union seems to be going through the same market recession that the US is just now beginning to emerge from, five years after the fact. "Psychology plays a big role in the German market," said Eckehart Rotter, a spokesman for the German auto makers' association Verband der Automobilindustrie. That is exactly right, as economic realities are totally a result of public perception. The confidence in the European Union is unsettled by citizens wondering if they will have to cough up the funds to retire the debts of other member states, such as Greece, Spain and Italy. 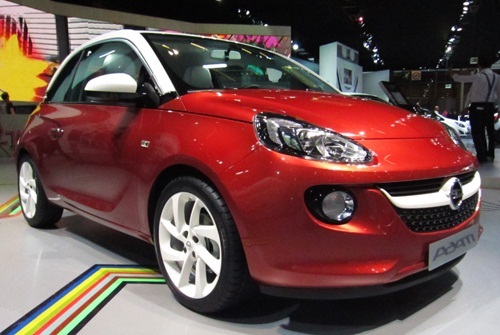 Despite Opel launching it new city model, the Adam, registrations fell in Germany by 16 percent while French firms Peugeot and Citroën (arguably makers of the ugliest cars in the world) lost 28 and 33 percent, respectively, despite a revamped lineup. Redesigned cars are one of the things supposed to bring buyers into showrooms. Ford used exactly this tactic to keep its decline to less than one precent, but the same ploy has not worked for the French automakers. What is truly surprising is that new car registrations dropped more in Germany than they did in the questionable economies of Italy and Spain, who only recorded an decrease of 8 and 2.6 percent respectively. In France, new car registrations were down a full 10 percent in May. So there may be good economic news in the US and elsewhere, but in the European Union things are not looking as rosy.